Funky fun emoji favs! 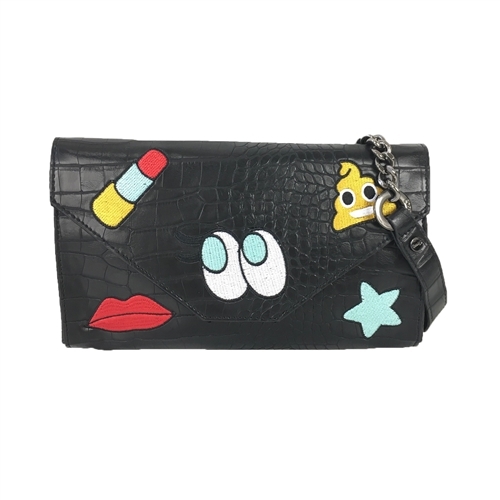 Jayden features croco embossed vegan leather with embroidered emoji patches. 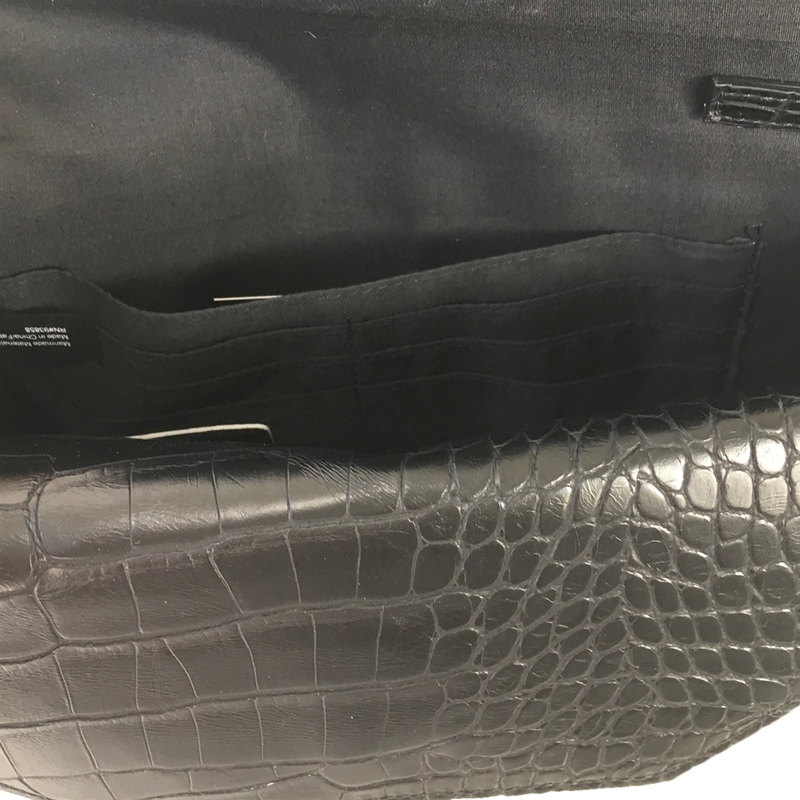 Shoulder bag in croco embossed vegan leather. Front features a variety of emoji patch appliques. Front flap pocket under flap. 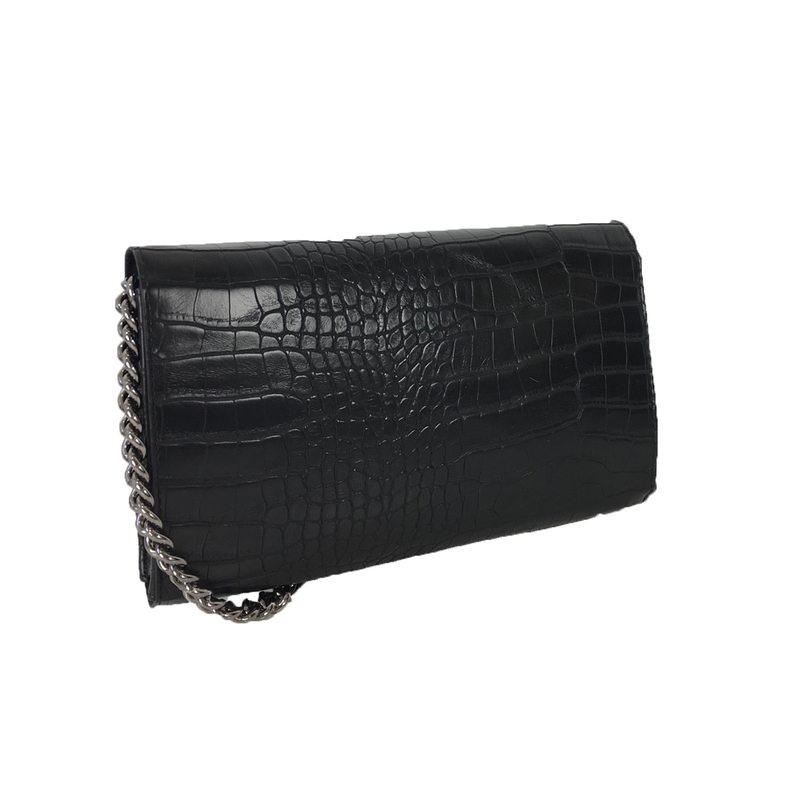 Chain link & faux leather crossbody strap, 22" drop. Snap closure. Lined. Interior slip pocket & 6 credit card pockets.